Get Windows 7 Games for Windows 10 - Have some fun!! 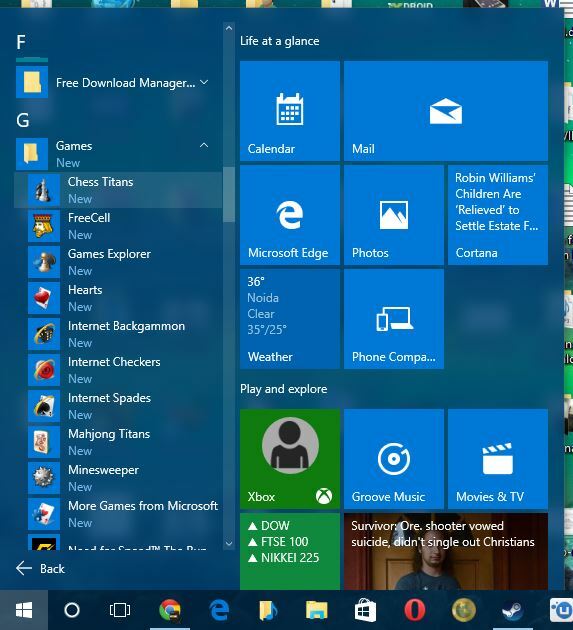 Home / How To / Get Windows 7 Games for Windows 10 – Have some fun!! Get Windows 7 Games for Windows 10 – Have some fun!! Who doesn’t like to play games? Remember when Windows used to come with some of the most amazing games we could play at work to pass our time? Windows 7 had many interesting games, my favorite was Solitaire and Mahjong Titans and many others. One of the biggest disappointment when I upgraded to Windows 8, was that there were no games on it by default. How would I have spent my time when my internet was down or I was bored. When Microsoft released the Windows 8.1 update I was again hoping for some games and I got none. Windows 10 brought the same amount of disappointment but you could get Solitaire on Windows 10 at a price by paying Microsoft. This is really bad and a lot of people were angry because of this. Thanks to the guys at MDL Forums, they compiled a setup of all games from Windows 7 and they brought it on Windows 10 in a simple setup. 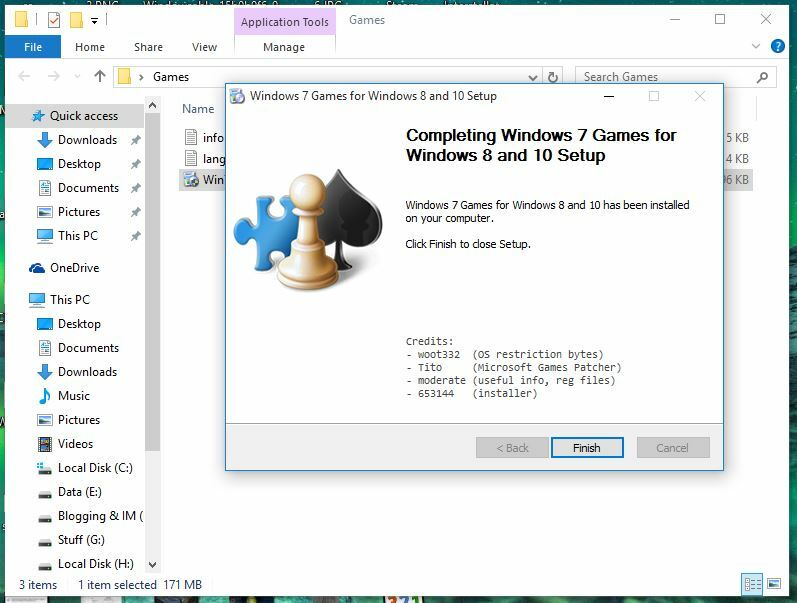 Using the setup you will be able to run games like Solitaire, Minesweeper, FreeCell, Hearts, Chess Titans, Mahjong Titans etc on your Windows 10 PC. 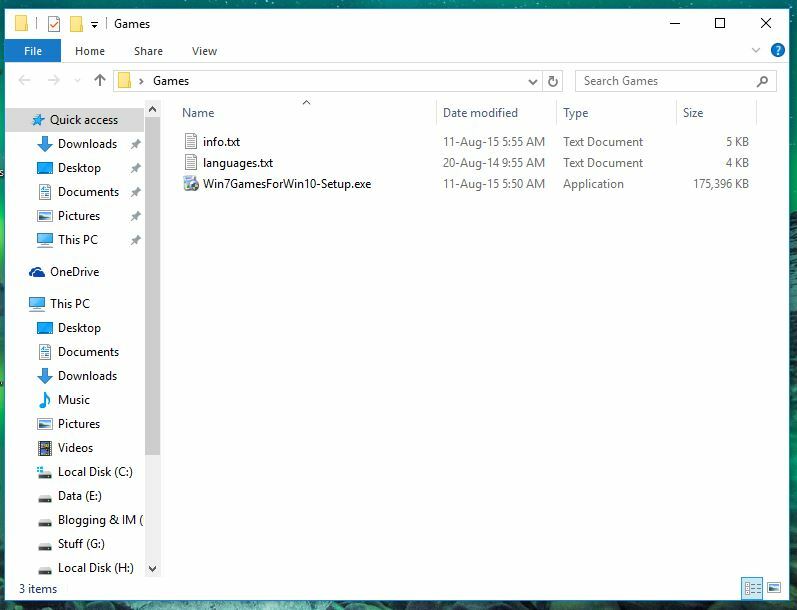 It is important to know that just copying and pasting the EXEs or the games folder from Windows 7 will not get you functional games on Windows 10. There are a lot of registry changes that are needed to be done. This is why the set is bound into a setup file that you can use to easily install the games and you can play these games as soon as you install it. 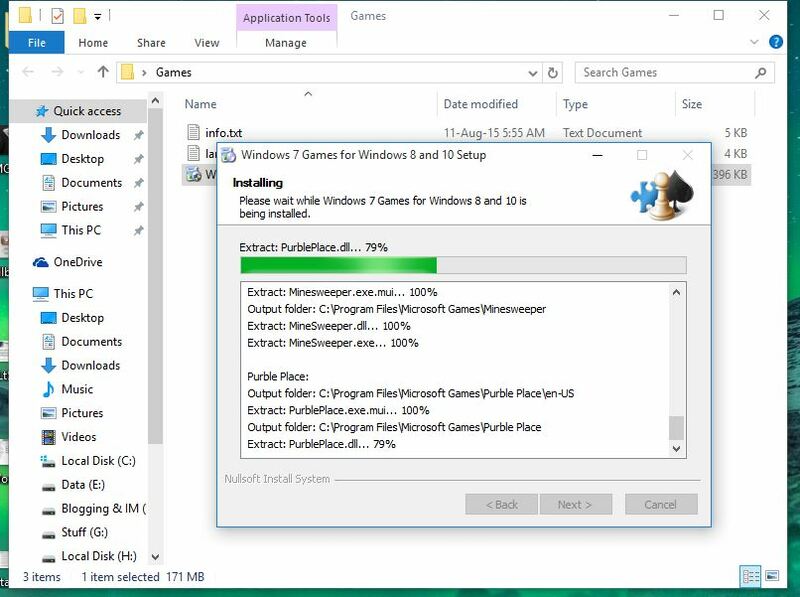 Follow the procedure and you will get Windows 7 Games on Windows 10 in no time. Head over to this MDL Forum page. You will need to sign-up on the forum in order to gain access to the downloads. Check and download the RAR file that says Microsoft Games for Windows 8 and Windows 10. You can extract this RAR file using WinRAR. This installer was released for Windows 8 originally, but this works without any glitches on Windows 10 as well. Now that you have extracted the files, you should see the files you see below. Double click and run Win7GamesForWin10-Setup.exe and this will start the setup. Just follow the setup and check the list of games you want to install. You can choose all games at once or you can choose the specific ones you want to install. Just choose the install destination and go ahead and follow the wizard. The setup will start installing important files as well as DLLs so that the games run properly. After the install is complete, you can start playing your games. To access these games just go to Start menu > All apps > G > Games. Now, that the installation is complete, you will see that you have all the games from Windows 7 are now on your Windows 10 PC. This was a small post on the process to get Windows 7 Games on Windows 10. If you are facing any kind of issues or have any queries regarding the tutorial leave a comment below and we will try our best to solve your problem.